Accept payments using PayPal without a redirect! It usually takes a skilled web developer to set up a PayPal payment portal that doesn’t redirect away from the website and into PayPal. This can cost you customers and money, but no more! 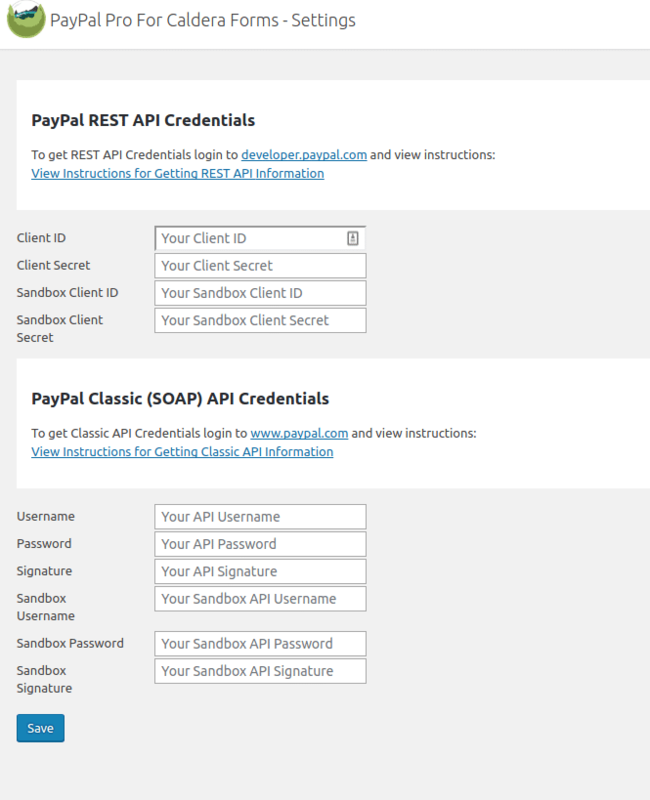 PayPal Pro for Caldera Forms lets you use Caldera Forms to accept PayPal payments using the PayPal REST API or PayPal SOAP API with our beautiful, drag-and-drop interface. Our Paypal Express add-on works by redirecting the user to PayPal. With the PayPal Pro plugin, you can put the whole process on one page — your WordPress page. 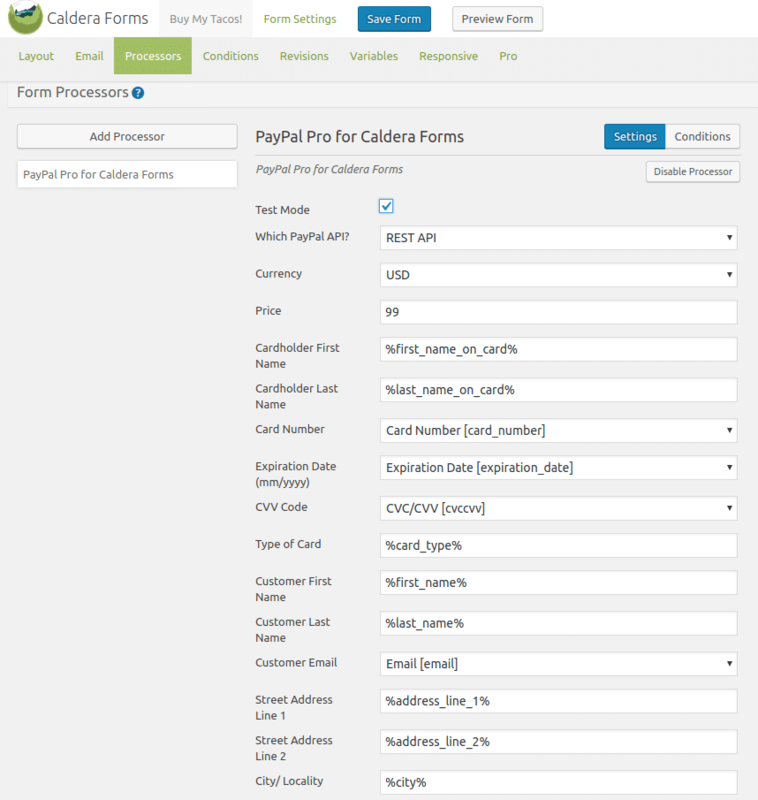 Customers can pay with a credit card using Caldera Forms credit card fields in the form or with their PayPal account using PayPal flow. Happier customers and higher conversions!